Hello and welcome to a double-up haul post! Why you ask? I'm pretty sure I didn't buy anything in October. Legit. There may be one... So I'm calling this the October/November haul just in case. I have been such a good girl you guys. I haven't been to any supply stores since September! The only time I really shopped was on a weekend trip to Toronto with my parents. Also I can't get freakin' Instagram to embed the photos I want so I'm just uploading them. But don't forget to check me out on IG, if you haven't already! I'm more active there these past few months, with lots of different kinds of stuff like makeup and crochet and nails and selfies, obvi, it's Instagram. 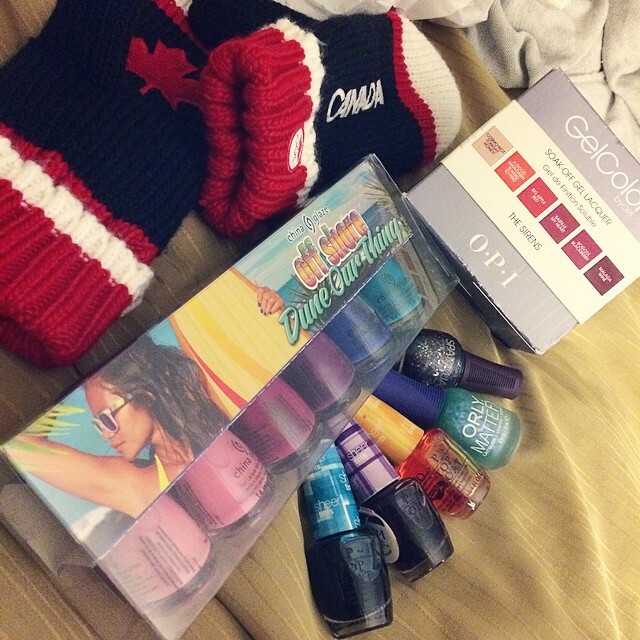 I did damage at one particular Winners store in Toronto. I found all of this and was carrying it around in my arms, looking for a cart (or my mom) to help carry it all! Haha. I had a little haul of mini Mundo de Unas stamping polishes! Looking forward to trying them out (if I ever get a minute to sit down and do my nails.) 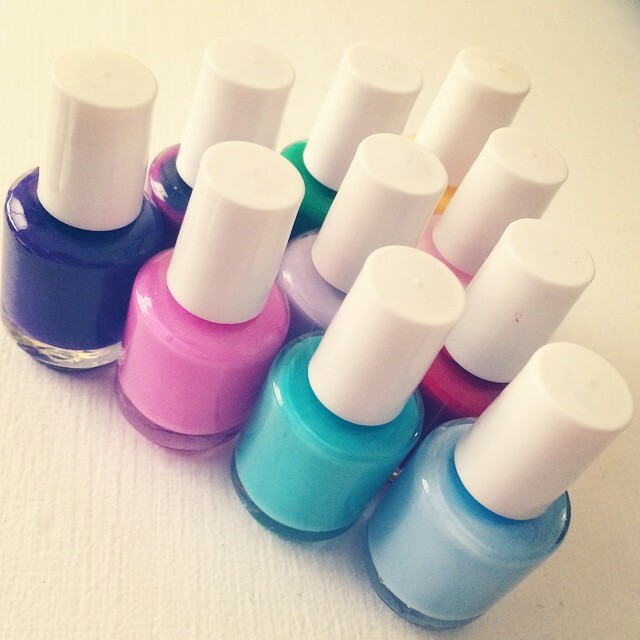 Colors are: 9 Red, 21 Purple, 15 Mexican Pink, 6 Pastel Blue, 24 Aqua, 8 Green, 16 Lilac, 14 Violet, 25 Pastel Pink, 11 Yellow. Oooother than that, I just picked up a few random Essence polishes from Shoppers at different times.